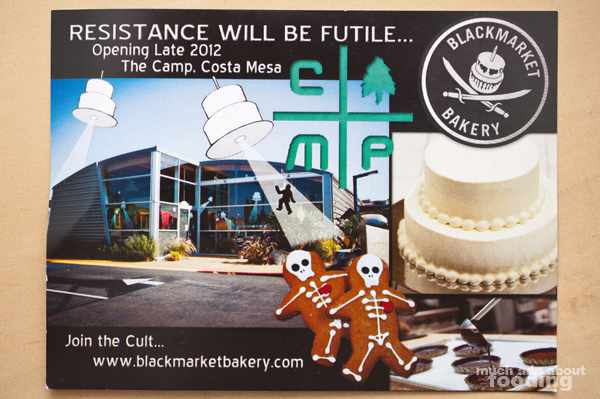 To promote their opening of their larger retail location at The Camp in Costa Mesa, Blackmarket Bakery featured a fall open house at their current Irvine location where people could come for free and sample some small treats. What an exciting event too seeing as their very own Chef Rachel Klemek took home the Golden Pastry Chef award at this year's Golden Foodie Awards! 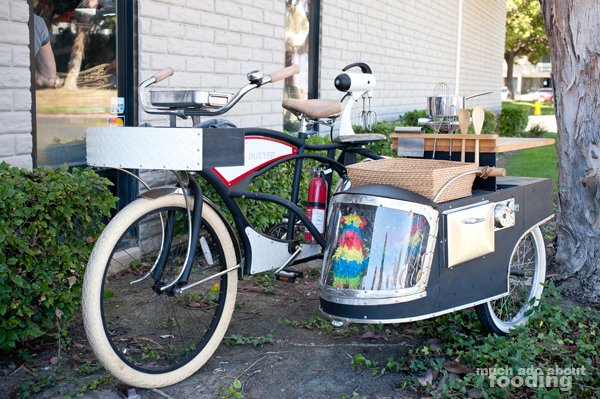 They had their "Powered by Butter" cycle outside with its charming baking utensils and a pop-up tent with delicious foods. 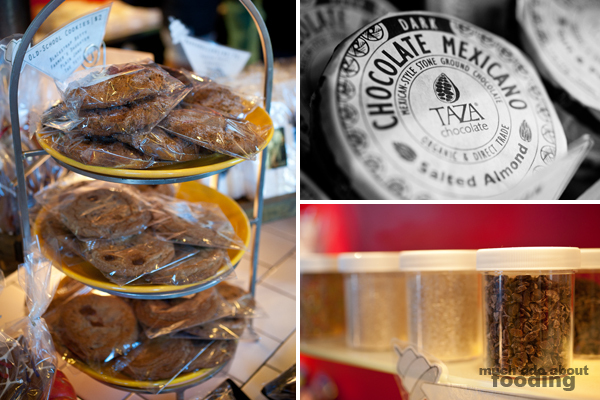 Inside the small store front itself was a bustling group of people snatching up treats for themselves and others; the products inside were all so tempting and as Duc saw while snapping pictures, photogenic to boot! Outside, under the tent, a tasty variety was laid out for us lucky people who decided to drop by this open-to-the-public event. 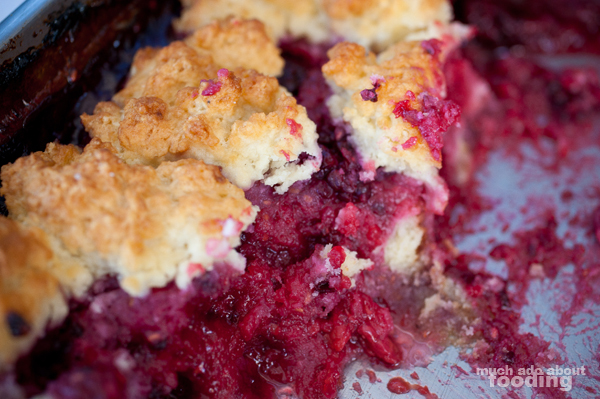 An entire berry cobbler was spooned onto plates (so tart and sweet at the same time! 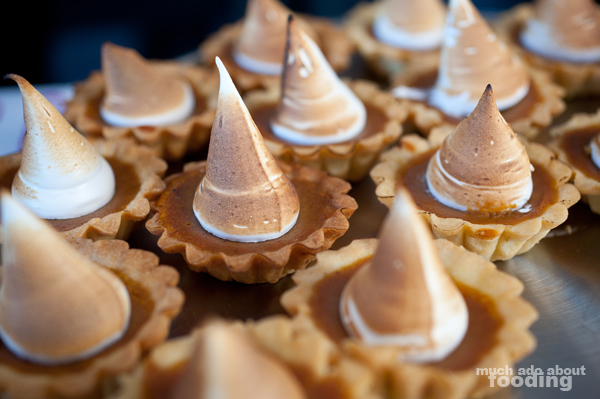 ), mini honey pumpkin tarts with toasted marshmallow on top were beautifully plated (if you love pumpkin, you would love this tart! ), and a bowl of caramel almond popcorn quickly dug into. 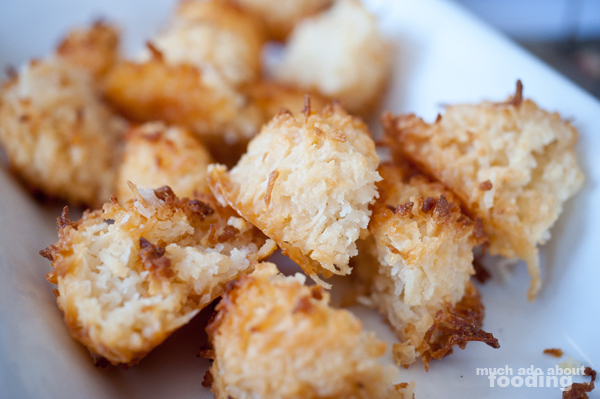 Other delicious morsels included mini old-school coconut haystacks (chewy and very coconut-y), cheese and shallot brioche pieces (the best sample piece - we had several), and a caramel apple tart (the feel-good homey taste of apple pie!). Seeing as the bread was our favorite bit of it all, we're really excited for the retail location as they should be able to bake more breads through that one! 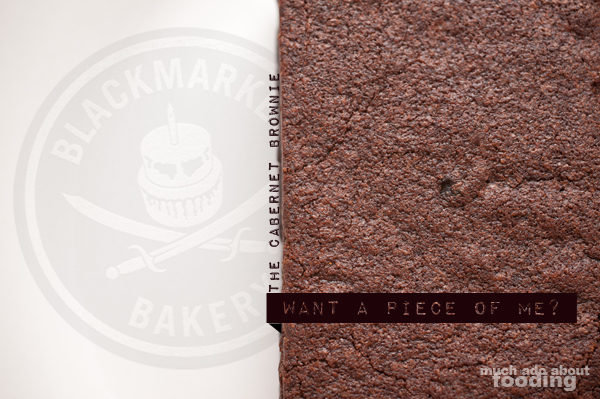 Of course you can't walk away without buying something, so I snagged a cabernet brownie, made with wine flour! It was their "special preserve" variety which meant that we were treated to dried currants and cherries. 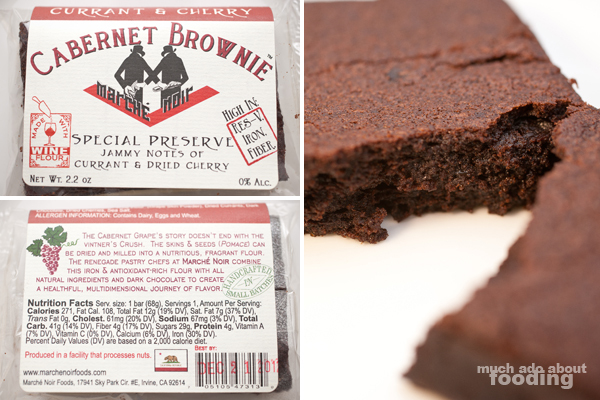 A rich brownie with tartness from the fruit, this was certainly a well-balanced dessert. I'd love to try the others! 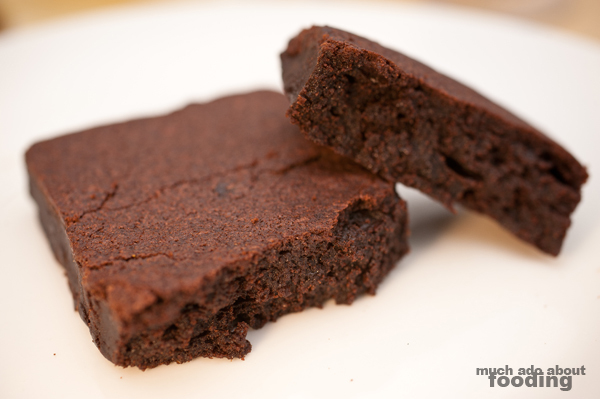 The food was fun to photograph but taking home that brownie allowed me to play around with Duc's camera and the dessert. I thought I'd whip up a little design tribute (full design does not include the MAAF logo of course) to our delicious bite and let you know that Blackmarket Bakery's retail location in Costa Mesa still needs some help. 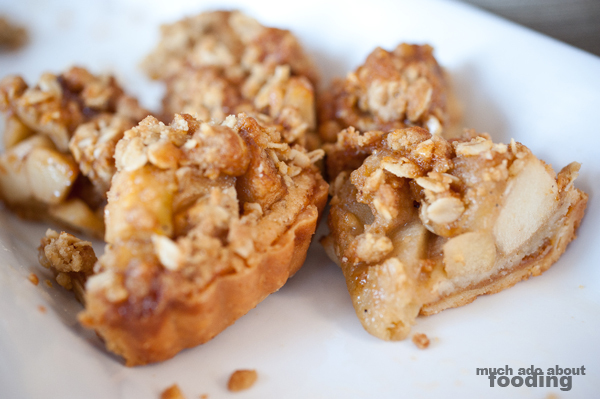 If you're interested in being a supporter of their bakery, check out their Kickstarter campaign by clicking here and helping them get their oven! 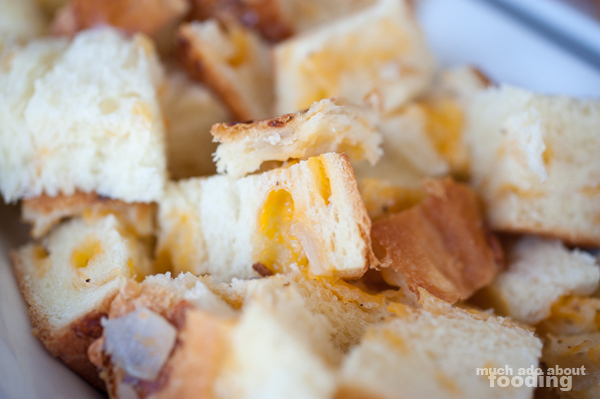 You don't want to miss out on their delectable bread after all!